If you plan on having the best bar or the best restaurant, you need to have the best tools for kitchens. We have you covered head to toe and start to finish on everything you�ll need to cook or bake. Dress for success in chef coats, aprons with pockets, kitchen pants, kitchen shirts, chef hats, and hair nets. You will look the part and stop food from getting on your everyday clothes. Be sure to protect your hands with oven mitts and hot pads. If you�re running a bar, you�ll need to prepare for everything alcohol related. Grab some bar mops and bar towels to clean up any spills on the bar top or bar stools. If the drinks fall to the floor, be sure your floor is covered with a bar mat. The organized bar is a successful bar. Bar organizers, bottle openers and bottle cap catching bins, and corkscrews keep drinks and their paper umbrellas organized and neat. To make the perfect drink to put that paper umbrella in, you�ll need measured liquor pourers, cocktail shakers, jiggers, and a glass rimmer. Now you have the perfect combination for that icy blended beverage or on-the-rocks drink. If the grill is where your specialty lies, we have tools to cover you from start to finish. Whether you�re in a kitchen or at a Tailgate, make sure there�s a mat to catch any grease or oil spills. 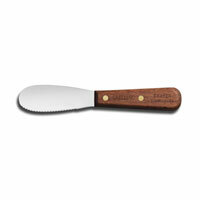 Butcher gloves and chef knives protect your hands from injuries and fillet meat perfectly. Meat tenderizers, meat grinders, hamburger presses, and steak weights form the perfect piece of meat to be grilled, and possibly branded with a sports team brander, that everyone can enjoy. Basting brushes and stainless skewers continue the perfect grilling as meat cooks up. The pastry chef understands the importance of measuring cups and measuring spoons before throwing ingredients into a commercial kitchen electric mixer. Mixing bowls, rolling pins, dough dockers, and a flour sifter are just the beginning of the many baking tools and bakeware available for the baker in everyone. All of your miscellaneous kitchen tools are also available. When making eggs for breakfast or cob salad, enjoy the use of egg rings and egg slicers. Serve up seafood correctly with snail forks, shrimp cocktail sets, lobster crackers, and oyster forks. Make the best potatoes in any form with a potato masher, potato cutters, or a potato ricer. Strainers, cheese graters, colanders, and large kitchen wall mounted can openers hold up to industrial kitchen standards. Fry baskets and fry scoops, call bells, check spindles, order wheels, cup dispensers, lid dispensers, condiment shakers, and sandwich picks are perfect for fast food restaurants. Thermometers, commercial cooler door curtains, cooking utensils, and sugar packet caddies fit into any restaurant or kitchen no matter what your specialty. Browse the collection of tools today and stock your kitchen with the best kitchen tools in the industry!